The ICC profile of an image represents a set of essential data related to how its colours should be rendered, according to standards established by the International Color Consortium. Info included in the ICC profile is related to the number of colors in the image, the color space, which are the lightest and the darkest tones, and how colors are distributed. 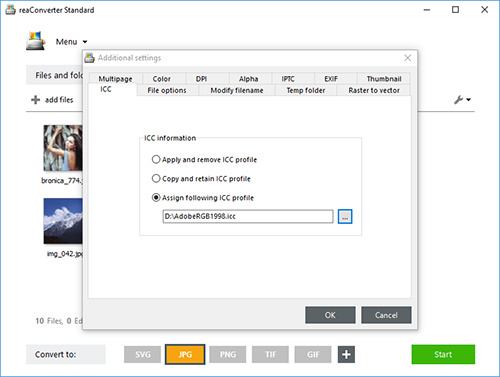 The ICC profile is particularly relevant when you upload images from a scanner or a camera on your computer, because it facilitates the correct reproduction of colors, but also when you convert them. Preserving or removing the ICC profile of an image when converting it from one format to the other has a great impact on its appearance, and reaConverter lets you do both with only a few clicks. Add all the images you intend to edit by using reaConverter's drag-and-drop tool or by selecting them manually. 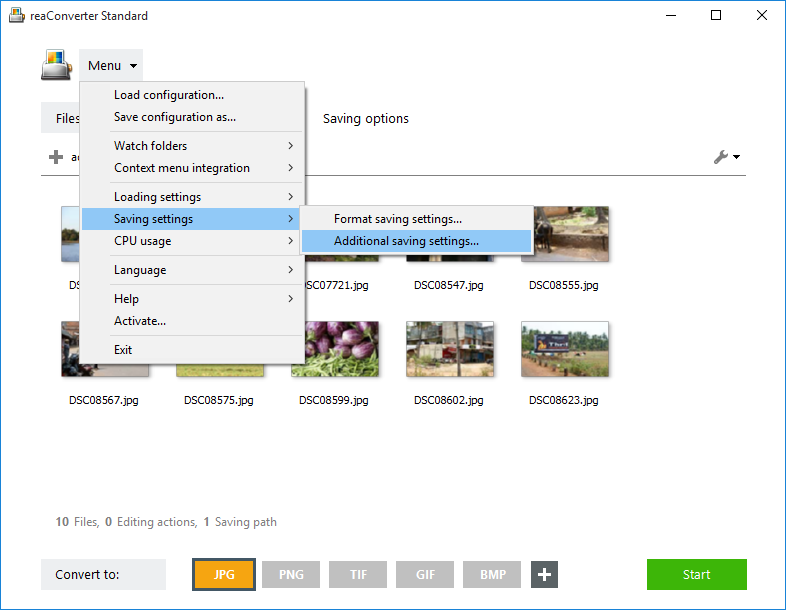 Go to the Menu button, click Saving settings → Additional saving settings and find the ICC tab. 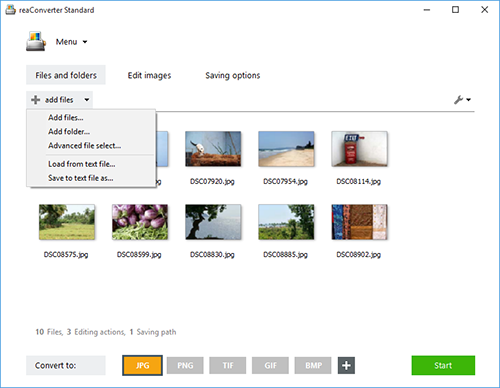 Here you can opt for using the ICC profile of the original image, and further on for applying and removing it or for copying and retaining it. In case you don't want to do any image editing (such as rotating, resizing, cropping and many other options), go straight to the Saving options tab and pick a location for your output images. reaConverter's convenient interface allows you to easily save them locally or online. Next, choose the desired extension for your output files by clicking one of the buttons placed on the lower part of the screen. If you can't find the desired extension there, click the Plus button and find more. Finally, press Start and your new images will be ready in a few moments.